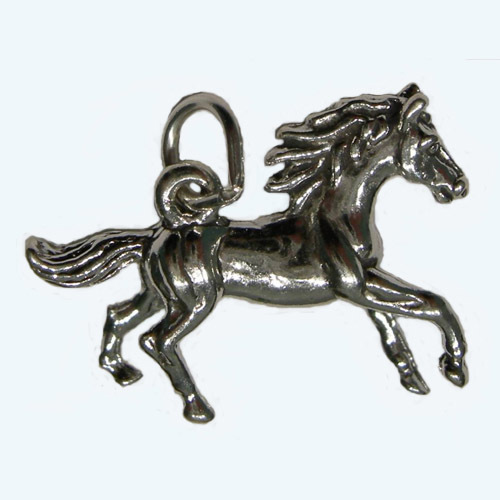 Desc: Sterling Silver three dimensional galloping horse charm/pendant. The horse is in full extended gallop. The horse's mane and tail are flowing behind in the wind. The charm/pendant has a bright polish finish.